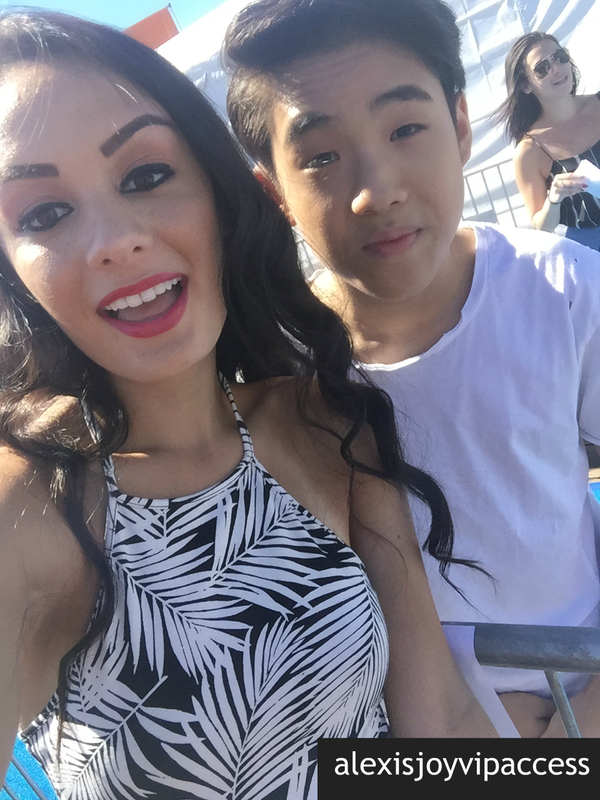 VIPAccessEXCLUSIVE: The Remarkable Lance Lim Updated Interview With Alexisjoyvipaccess At The 2016 Mattel Party On The Pier! Name a show that can always make you happy whenever you’re watching it, one that has tons of excellent, special guests, a whole lot of music, and one that makes you just want to jam out – we know what show you’re thinking of and it’s Nickelodeon’s phenomenal and music-filled show, School of Rock, of course! School of Rock holds a special place in every viewers’ hearts, and how could it not? It’s based off of one of our favorite movies ever. There are so many things that we love about the show, especially the marvelous cast, such as the sensational and spectacular Lance Lim! We all know Lance Lim as the remarkable actor who plays ‘Zack’ on School of Rock. His super cool attitude and his out of this world guitar playing skills makes us rock out the whole time while watching the show. Lance Lim has such a genuine and exceptional, acting talent and he is always a great pleasure to see on our TV screens. In addition to working on School of Rock, Lance Lim also worked on the highly-acclaimed movie, “Independence Day: Resurgence.” Besides being such an outstanding actor, Lance Lim is also a terrific musician! Whenever he shares a cover on his YouTube channel, we are always there to be one of the first to watch it as we know Lance Lim will leave us speechless yet again with his amazing singing voice and musical talent. He is so musically-inclined and we are always pressing “replay” on all of his covers. Whether it is working on his music or his excellent Nickelodeon show, which also happened to just recently be nominated for a Creative Arts Emmy, Lance Lim always does such an awesome job and he has such an incredible personality to match his indescribable talent! I, Alexisjoyvipaccess had the great honor of covering the amazing Mattel Party on the Pier again for the third year in a row and had a fantastic time catching up with and interviewing the wonderful Lance Lim again at the event. Lance Lim dished exclusively to Alexisjoyvipaccess all about what it was like working on this new, second season of School of Rock, his fun time on set of “Independence Day: Resurgence,” what it was like for him and the School of Rock cast to have attended the Creative Arts Emmy after their show was nominated for an award, and so much more only in our VIPAccessEXCLUSIVE updated interview. Lance Lim even took on a fun speed round and spilled on the one other musical instrument he’d like to try out, what his dream role is to portray and more – hear what Lance Lim had to say in our VIPAccessEXCLUSIVE updated interview below! Thanks for the fun interview, Lance – always a blast chatting with you! Check out my updated VIPAccessEXCLUSIVE interview with the muti-talented Lance Lim at the 2016 Mattel Party on the Pier below! The Mattel Party on the Pier is a fantastic event perfect for families and friends to attend together. It’s a fun-filled day with many exciting activities, awesome rides, and the best part of it all is that it benefits the Mattel Children’s Hospital UCLA! Previous VIPAccessEXCLUSIVE: The Extraordinary Rio Mangini Updated Interview With Alexisjoyvipaccess At The 2016 Mattel Party On The Pier! Next VIPAccessEXCLUSIVE: The Phenomenal Jacob Hopkins Interview With Alexisjoyvipaccess At The 2016 Mattel Party On The Pier!